the SLL.exe files (LyncSLL.exe & SkypeSLL.exe) is written in C# using my limited programming knowledge, please in your feedbacks keep in mind I am not a programmer and that I’m just trying to help, so this SLL.exe will check if the uccapilog sip-stack log file located in the “Tracing” folder of Lync or Skype4b Clients exist, if it find the log file it create a temp folder “templync” in the C: partition and copies the file to it and finally zip it, once the zipped file is ready, the program will send an email to the IT Help desk or Lync / Skype4b Admin in the house, how? check the installation part for more information. in case the folder already exist and been used before, the program will delete the old logs and copy the new ones, zipped them and send them away. the Installation script is simple PowerShell script that check and add the required registry keys and values to HKLM:Software\Microsoft\Office\15.0\Lync location, using the provided parameters and built-in values, this is important so that the command can be accessed by the users from the Lync / Skype4b client menus. 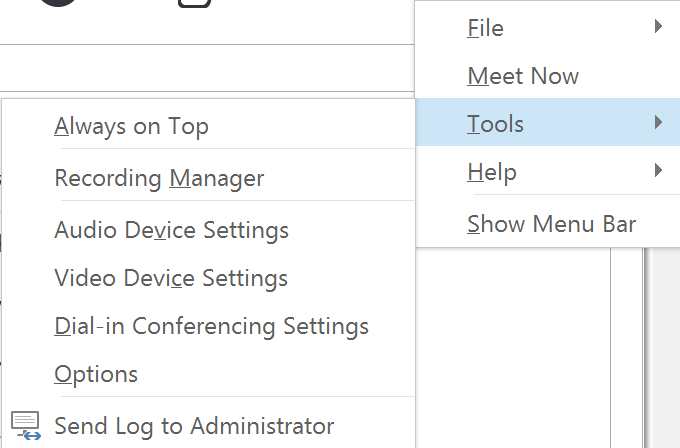 once you pushed the scripts to all machines and it ran (once only) all Lync or Skype4b Clients will now have a custom command in the Main Menu and the Main right click menu to send the log file to the email you specified in the installation step. Hey Mostafa, cool idea I really like your solution. Thx for that. It is possible to get the source code? Have a nice day. The email component will not work because workstations are not allowed to relay by default. This is good, else every user would need static IP’s and need to be added to the allow relay receive connector in Exchange. Nobody does this in a production environment for clients, it becomes an open relay. 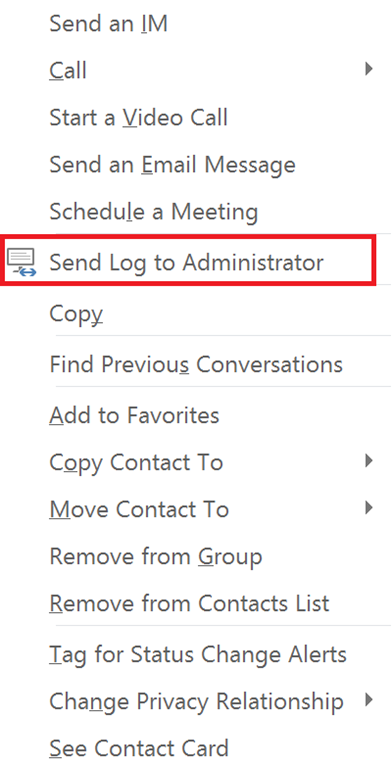 I had a look into it, right now I am able to send the logs via skype im/ file transfer. You can pick an contact and send the collected logs to it. But its totally messed up spaghetti code 😉. I have to clean it up first and do more testing. I will send the result to mostafa so he can share it with the community.